The most popular non-surgical approach to reclaiming a youthful face is with the use of facial injectables. Facial injectables include countless products in the cosmetic industry that can be strategically injected into the soft tissues of the face to either delay, reduce or reverse the signs of aging. While fillers and injectables can’t provide the long-term results that other facial cosmetic procedures can, they offer an easy, no-downtime alternative for those that want to gain subtle improvements in their aging face. In the hands of a skilled surgeon, the correct product is selected and the most refined technique is implemented, which ultimately ensures patients have a rejuvenated and natural-looking outcome that doesn’t look over-done. 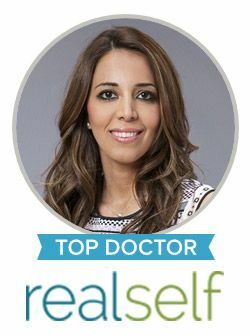 Dr. Sanaz Harirchian is pleased to offer a full line of the most proven facial injectables and fillers on the market. She carries extensive knowledge in using these products as a standalone treatment or in conjunction with a surgical procedure. She always tailors a treatment plan to the unique needs and goals of each patient. Dr. Harirchian offers neuro-modulators such as Botox as well as a number of facial filler options such as Volbella and Restylane. These products are safe and effective in reducing fine lines and wrinkles, adding volume back to the face and more. Facial fillers are used to add volume and restore the natural contours of the face. Fillers can lift, plump, fill lines and folds and eliminate hollows and shadows. The results are natural and feel like your own tissue. Dermal fillers are injected into the skin or the soft tissue deep in the skin. Fillers can be used to reduce fine or deep lines, wrinkles and folds. Fillers can also be used to fill hollows and shadows, such as in the under eye or “tear trough” region. Most of the fillers are made of hyaluronic acid, which is a substance naturally found in the skin. Fillers are not permanent and results typically last between 6 and 24 months, depending on the exact filler. Dr. Harirchian offers various dermal filler options based on the location on the face that is being treated and the severity of concern. Fillers differ in their firmness and thickness, which means there are certain fillers that are best suited for specific areas of the face. To learn more about which facial injectable treatment could benefit you most, please contact our office today to schedule a consult with Houston’s leading facial plastic surgeon, Sanaz Harirchian, MD.